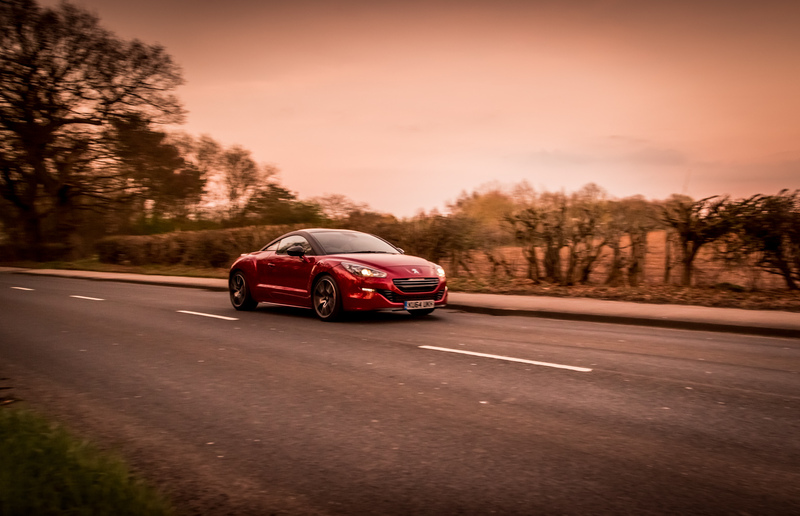 After a week of test-driving the fastest production Peugeot ever, the Peugeot RCZ R, here is what we think about this sporty car. What is the Peugeot RCZ R all About? 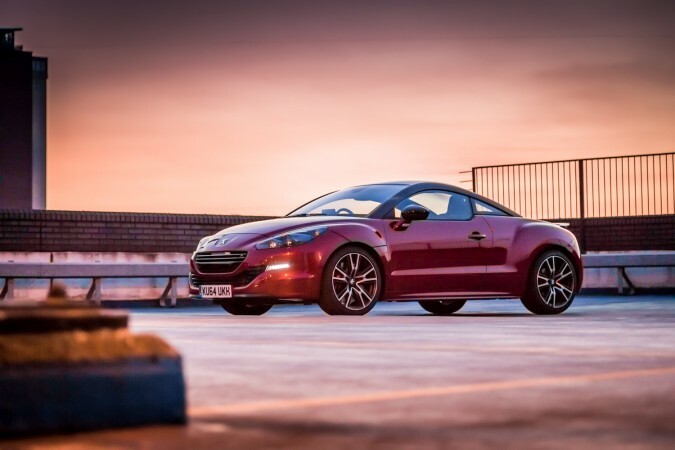 The Peugeot RCZ, first released back in 2010, is Peugeot’s answer to the sports compact market. 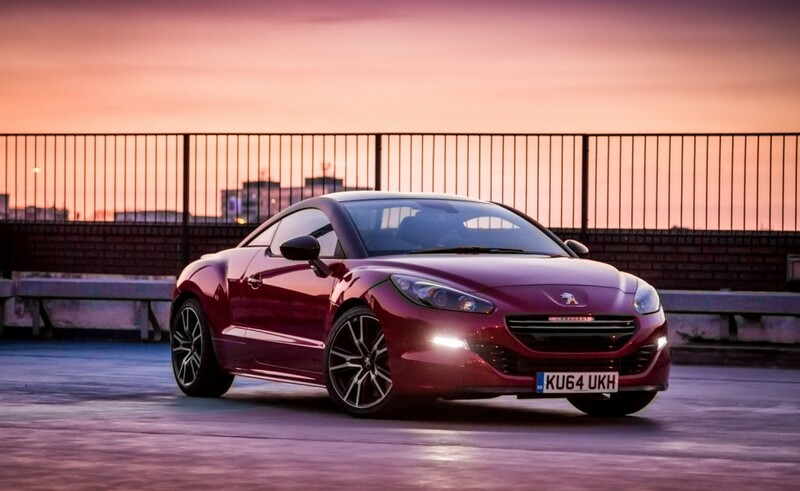 The RCZ intends to add an edge of exclusiveness to the French designed mass car market, but the new RCZ R took things a little further creating the fastest ever production Peugeot. 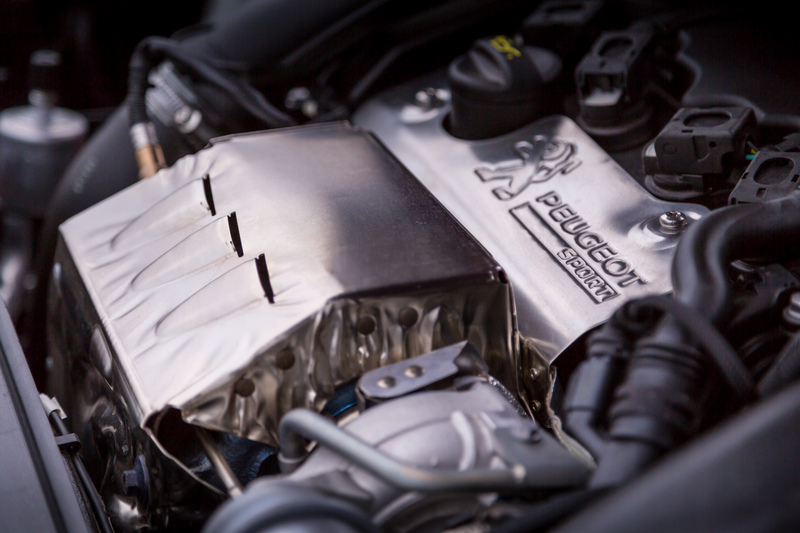 It has a 1.6-litre turbocharged engine and creates a whopping 270bhp. 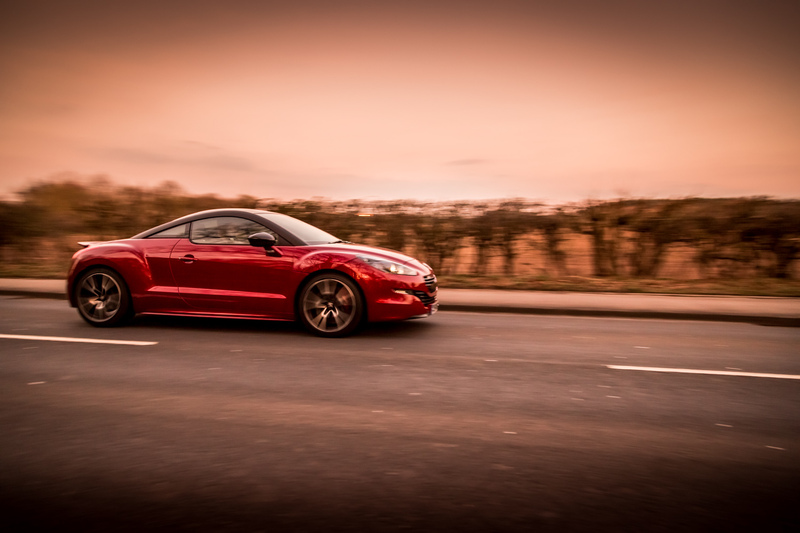 The RCZ R is a 2+2 sports car that is the most raw and highest performing car Peugeot have ever made, and let’s not forget about those head turning capabilities too. 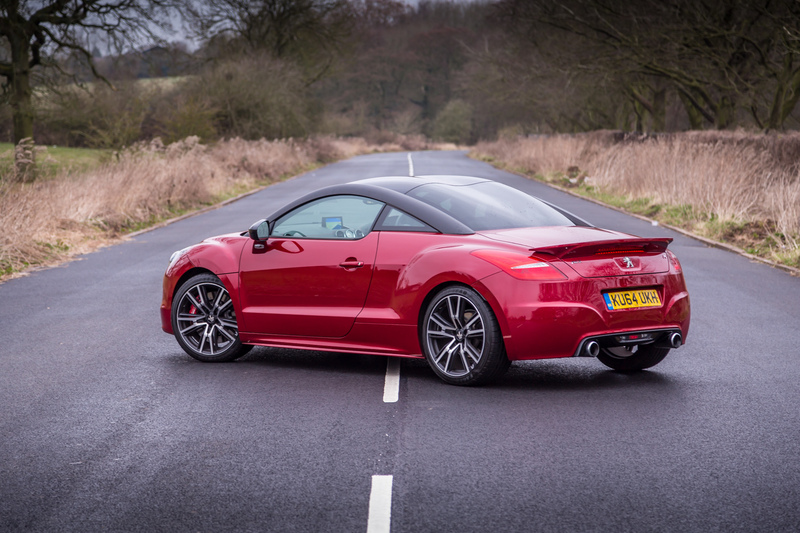 If I had to plot the fundamental metrics of how a small sporty car should look, it would come out looking very similar to the concept of the RCZ R; it really is a great design. 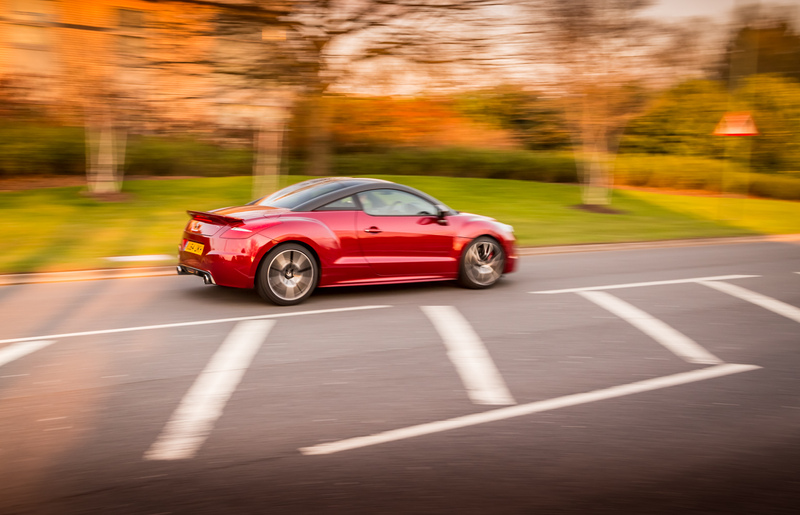 Most people make the assumption that the RCZ is mid-engined, purely from the body shape of the car. 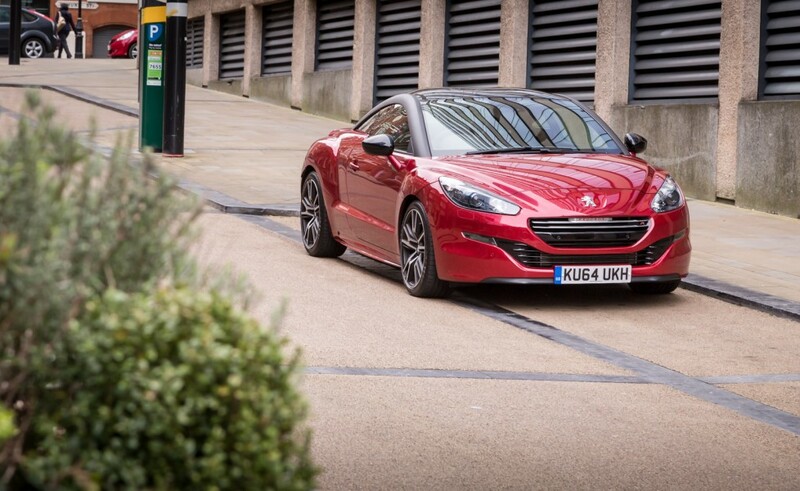 In my opinion this is a clever design concept by Peugeot, which complements the car well. 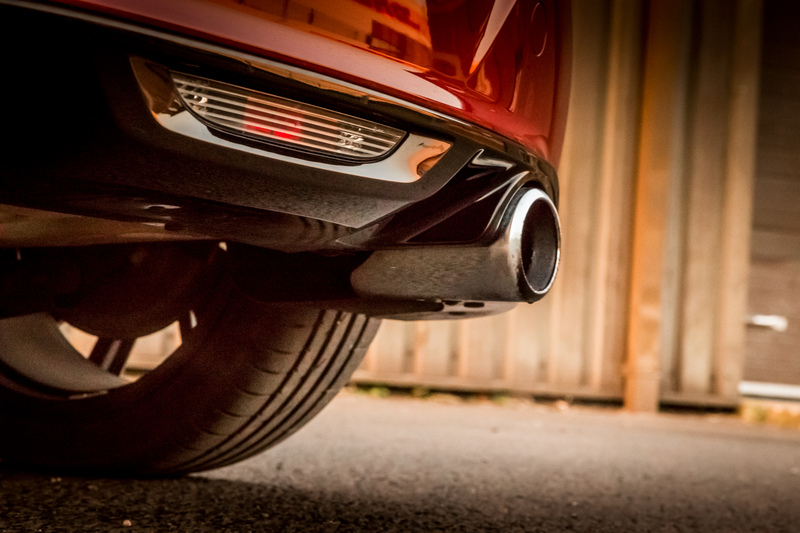 Another impressive aspect of the design is the aluminium arches that run from the A pillar to the C pillar. 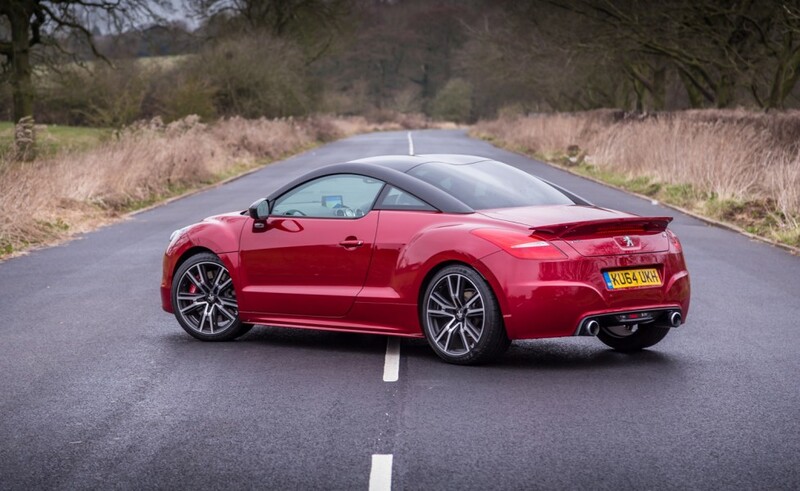 On the model tested they have been dressed in black, but they are a defining feature of the car and really make the RCZ stand out from other road goers. 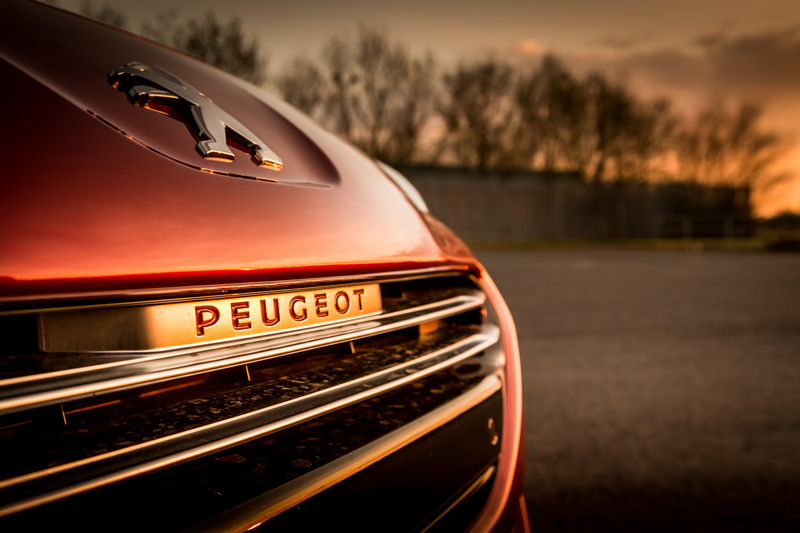 Between the two arches you will see the double bubble, the muscular roof and rear window, which from behind give the car great curves, and is a completely unique feature and bold move by Peugeot. It looks great. 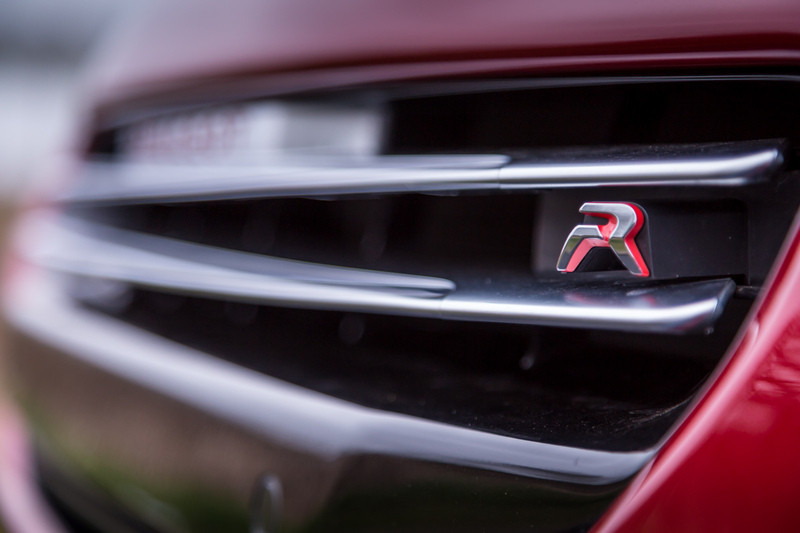 All the exterior aspects of the car are fairly smooth and stylish, but subtle too, and there are a few extra touches that take it the extra mile, for example the LED running lights, 19” ‘R’ alloy wheels and dual chrome exhausts that give the car a premium feel. Getting down to the numbers the 1.6-litre turbocharged petrol engine creates 270bhp and 330Nm of torque, this power goes through a 6-speed gearbox to the front wheels. The RCZ R can get from 0-60mph in 5.9 seconds and will do an electrically limited top speed of 155mph. 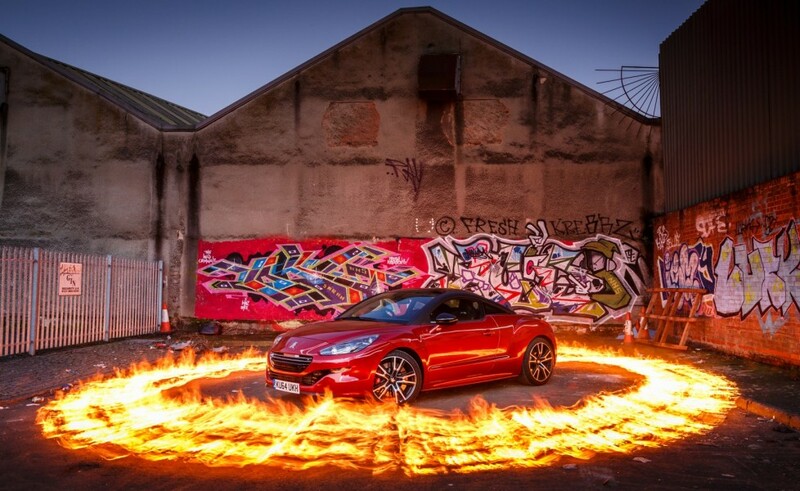 On paper the RCZ R certainly sounds pretty good. Getting into the car you’re well aware this isn’t your standard Peugeot. 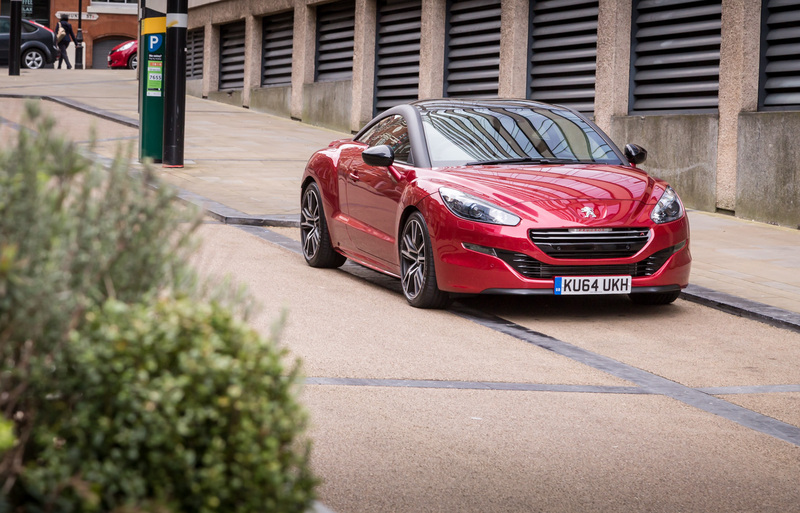 Moving off it feels great, and just as we have come to expect with all Peugeots it’s nice and easy to drive, it’s light and it has plenty of power. 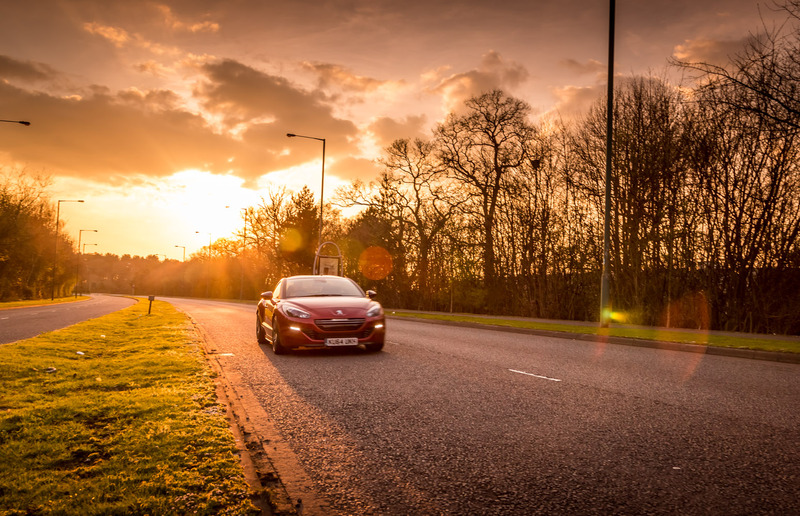 The steering feel is fantastic, there is lots of feedback that gives you a clear idea of the available grip and encourages you to push the car harder. 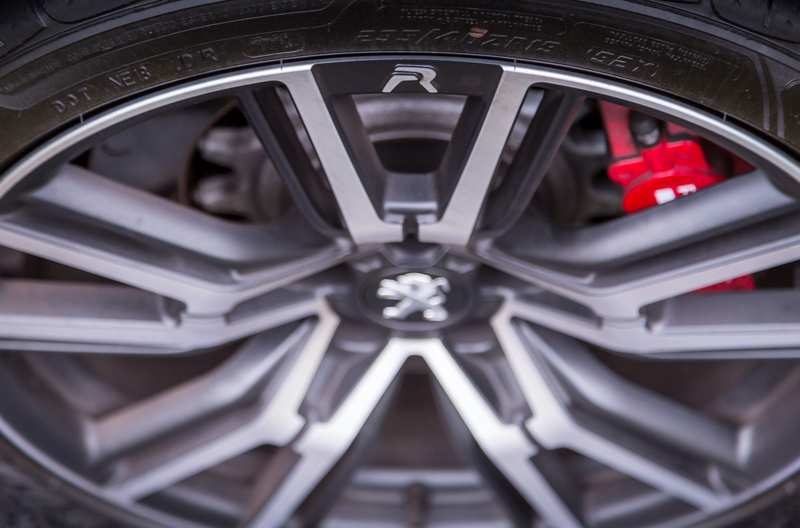 To help control all the power going through those front wheels, Peugeot have fitted the car with a limited slip differential called ‘Torsen’. 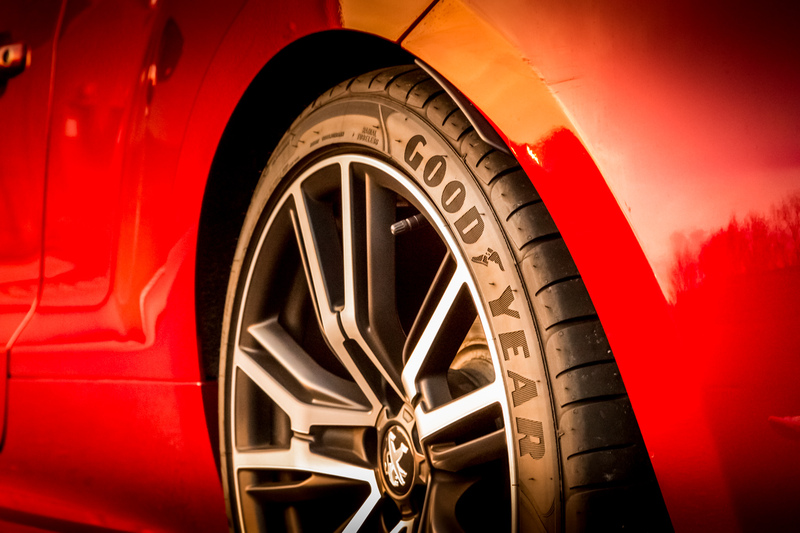 This helps limit torque steer and adds significant value to the driving experience. 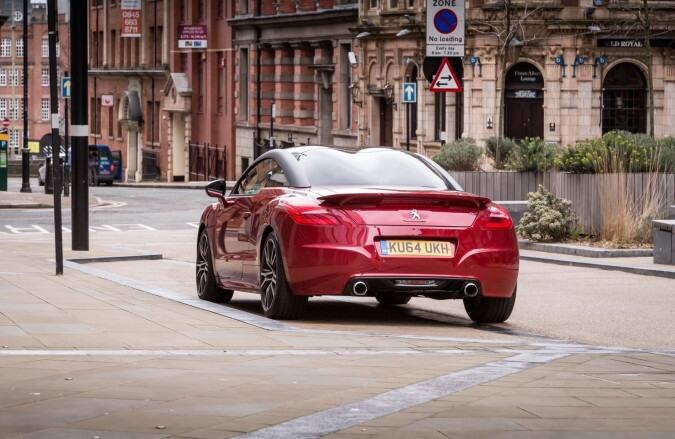 As mentioned, it can do 0-60mph in just 5.9 seconds, which is 1.7 seconds quicker than the lower spec 200 THP model. It has a wide track, fairly low stance, and a turbocharged engine, but it is still front wheel drive…don’t worry though as this hasn’t spoilt the experience, there is loads of fun to be had in the RCZ R, it is a complete animal! 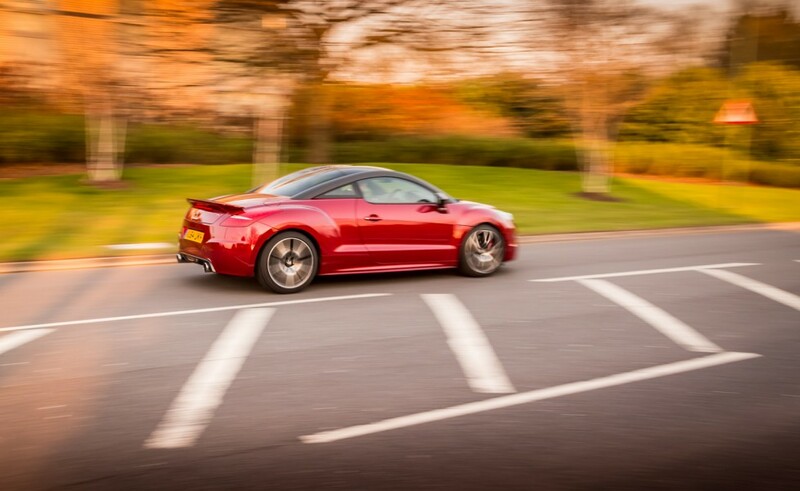 Driving the Peugeot RCZ R, the improvements over the 200 THP version are incredible. 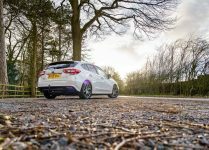 The power from the 1.6-litre engine with 270bhp is probably approaching the maximum amount of power you can put through a front wheel drive car effectively. 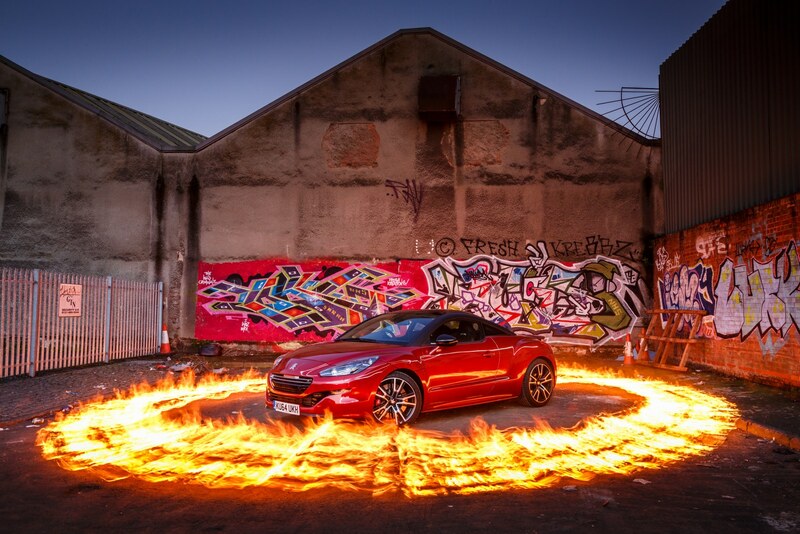 The power delivery is brilliant and pulls the car along very nicely indeed. 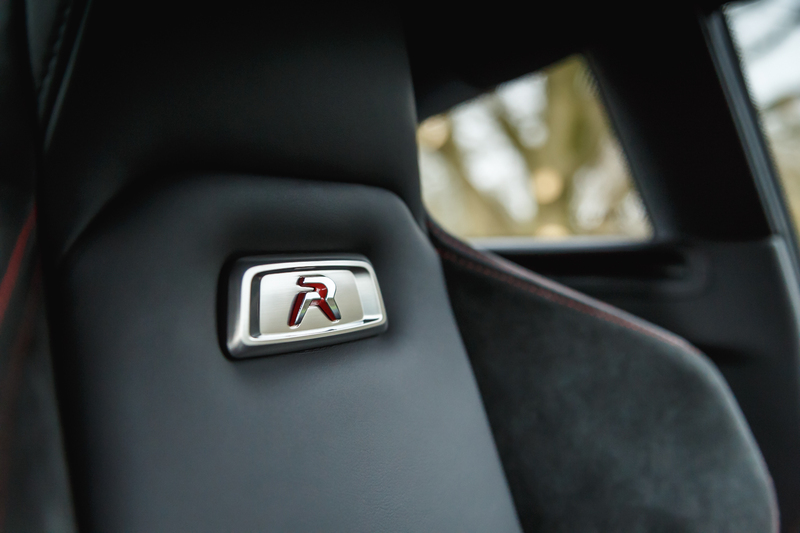 The Peugeot RCZ R’s interior is the sportiest Peugeot interior I have ever seen. 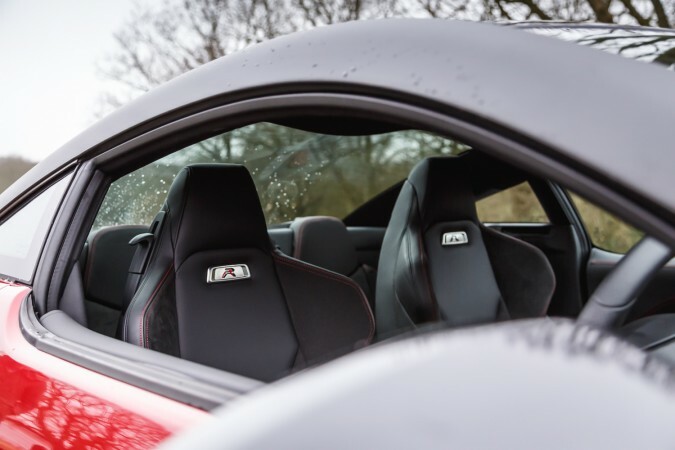 The main feature points of the car are those two large racing seats that wrap around the driver and passenger. 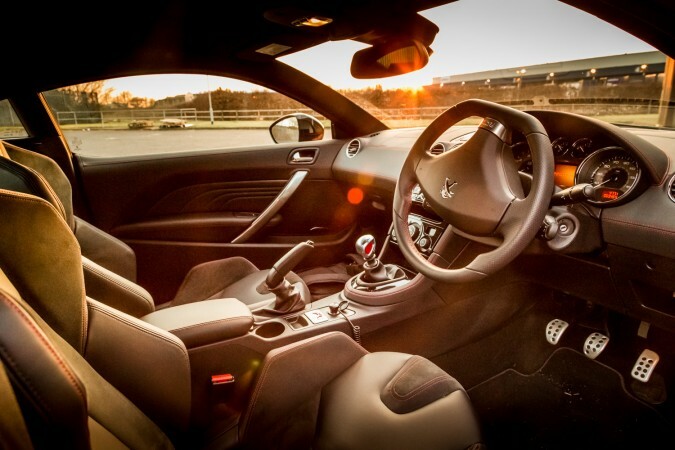 The car has a real sports car feel; you sit low to the floor and feel nicely enclosed in this powerful machine. There is no doubt it’s a good place to be, you sit towards the middle of the car with a tiny rear bench seat behind you. The rear seats do feel like an afterthought, but you can get an adult in one of them for a short trip without too much of a problem, or you can just fold the seats down to increase the boot space. 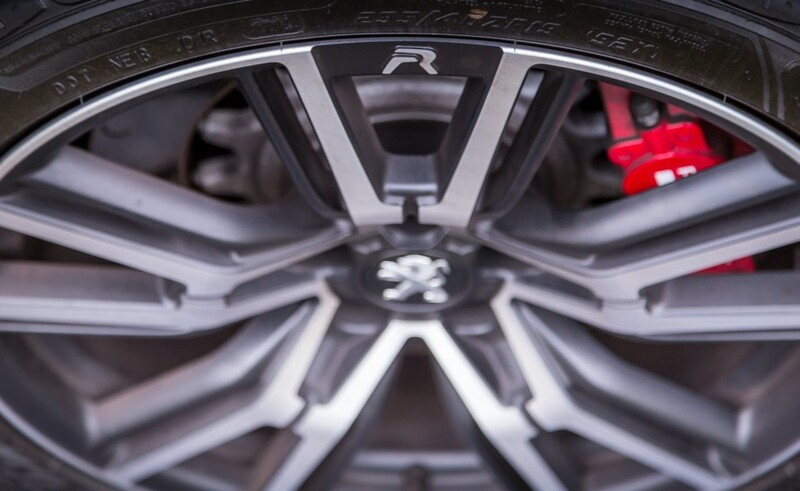 Being the R version you get leather and aluminium accents on a lot of the touch points around the car, which also sport the R branding. 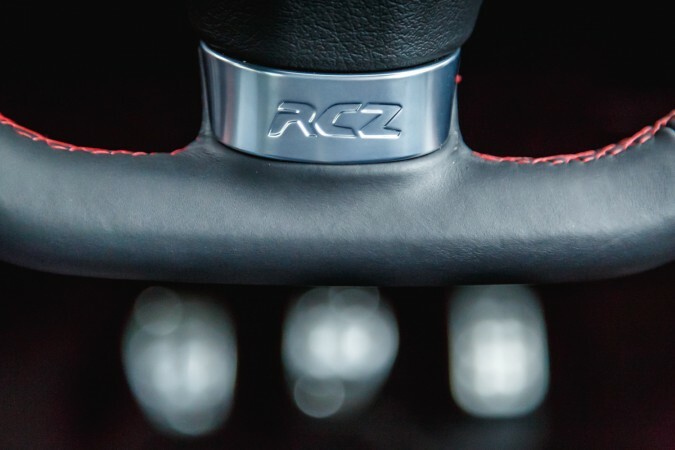 This includes the gear lever, the flat bottomed steering wheel, and door cards, all a reminder that you paid a little more for your top end RCZ R.
Overall the interior of the RCZ R matches the well designed and well implemented exterior of the car. 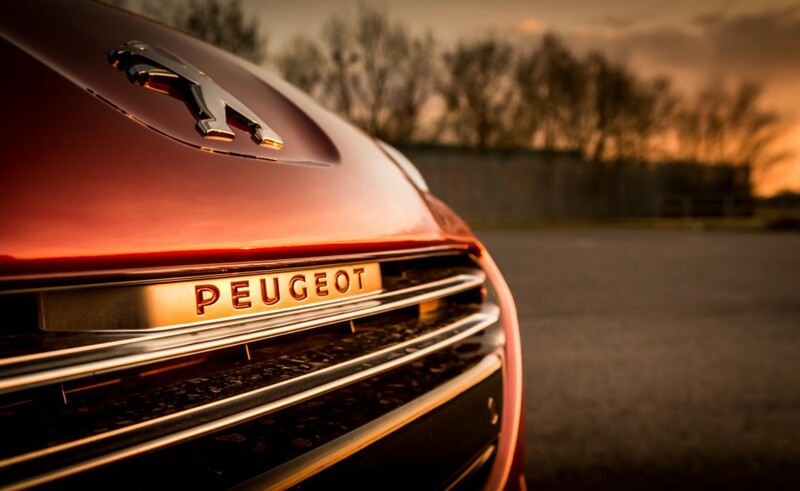 It feels more sophisticated and cleanly designed than any other Peugeot I’ve been in. 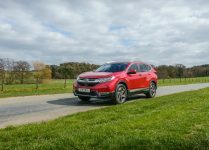 The level of tech isn’t too bad either, you get music straight from your phone using Bluetooth, built in hands free, sat nav and dual climate control, all well packaged up. 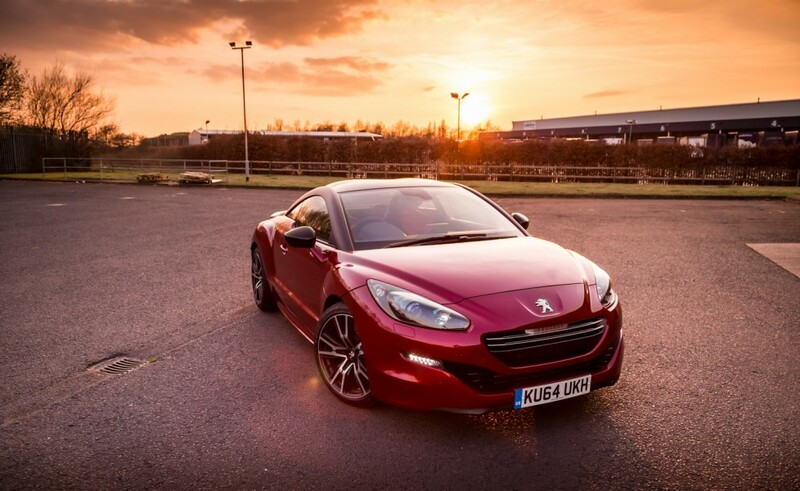 The Peugeot RCZ R is an amazing driver’s car, with a thrilling and sporty experience. 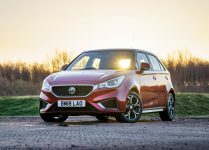 The best bit about it is that it is at a relatively affordable cost. 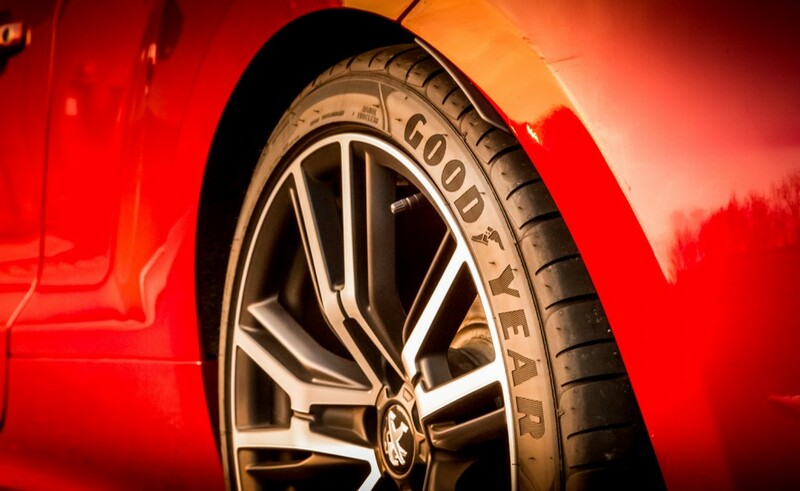 You get those dashing sports car good looks, great performance, unbelievable exhaust sound and don’t forget it comes with decent MPG and low emissions too. The Peugeot RCZ R is, in my opinion, the best car that Peugeot have ever created. 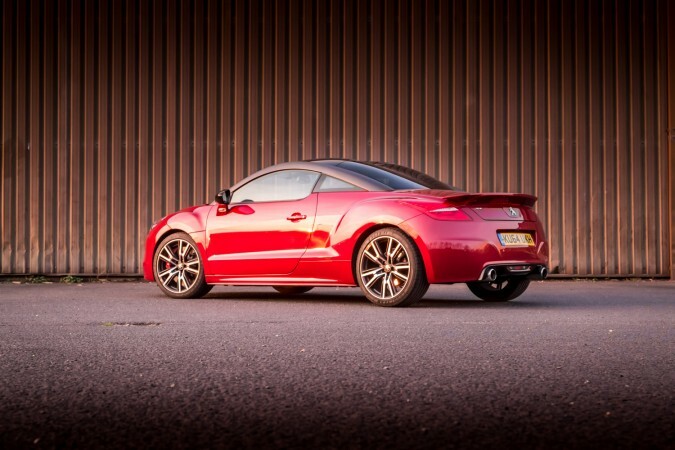 The RCZ R is very impressive; the engine and handling performance ticks all the right boxes, and on top of this it has a completely bespoke look, especially from behind. 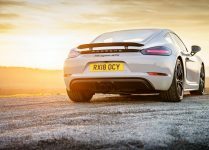 The RCZ is often compared to the Audi TT because of its form factor, but I believe these cars are in two different markets. The RCZ is more fun, it’s quirky and gives you a completely different driving experience to the Audi, and more importantly you’ll see a hundred TT’s a day in any city, where the RCZ is still a pretty rare car!